It’s a chance for kids to blow bubbles as a diver. 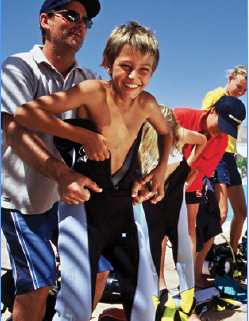 Children who are at least 8 years old can use scuba gear to breath underwater and swim around in shallow water. They will do a short funny theory lesson with the instructor (one for each child) and in Punta Battistoni bay (see the above photo) they will do their amazing experience. The price included Equipment, Boat and theory lessons. € 800,00 – Max depth 4 mt. It’s the second step after The Seal Team! If you want that your children become really a fish! There are other 5 Aqua Mission which improve the diver’s knowledge. The Aqua missions are the following: 1-Fish identification 2-Enviroment respect 3-Buoyancy 4-Underwater Navigation 5-Night 6-Safety 7-Search and recovery 8-Skin dive 9-Photo 10-Wreck 11-Buoy 12-Diving Equipment 13-Diving Computer.The price included Equipment, Boat and theory lessons. We offer this program either in the sea. 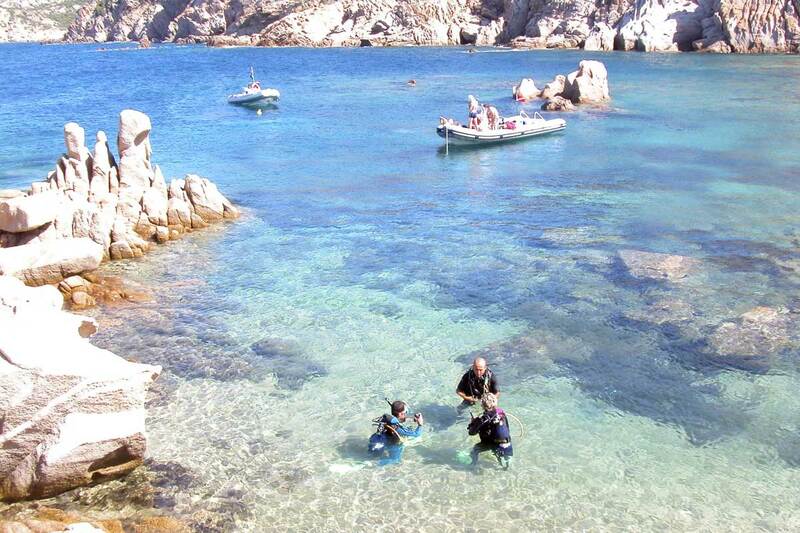 After the quick theory the instructor will give you a book with the information and where you can log your dive experience, after the chek of the diving equipment you will go by boat to Punta Battistoni (see the above photo) where in shallow water you can start in safe way to dive. This is a very nice experience nice to do at least one time. The price included Equipment, Boat and theory lessons. For People who want to do more! After the normal Discovery we make a little break on board and then we enter another time in the water for the second dive, this time we can dive till 12 mt deep.The price included Equipment, Boat and theory lessons. At the end of the course the licence will allow you to dive till 12 mt (40 feet) always under the direct supervision of a PADI instructor. 3 half days engagement for theory and pratical lessons. The price includs Equipment, Boat, theory lessons and didactical kit with book and video. It’s the first real diving course. 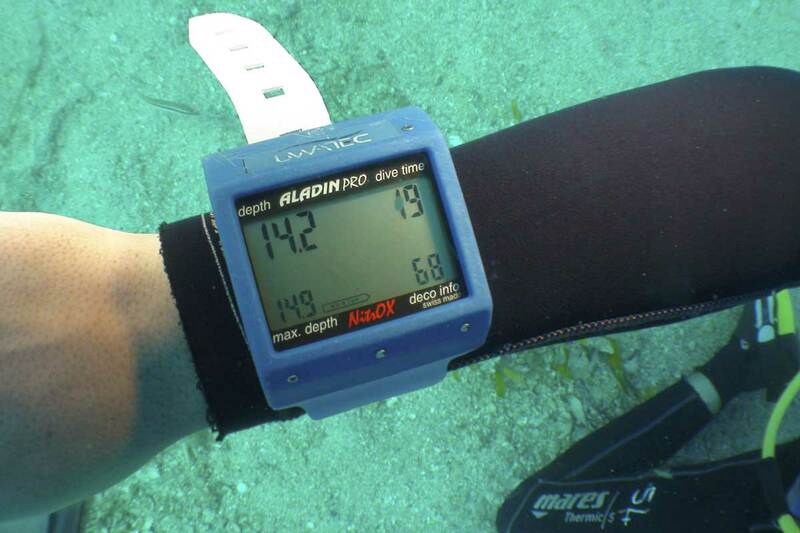 It qualifies you to dive with a buddy, without supervision, always using the knowledge and techniques learned during the course, up to the maximum depth of 18 meters. The students learn with the most new teaching system and the pratical lessons will done directly in the sea. The price includs Equipment, Boat, theory lessons and didactical kit with book and video. For the independent learner, or for those with limited time in Sardinia, PADI eLearning offers the opportunity to complete all theoretical portion of any diving certification online, and complete the ‘wet’ sessions with us when you come to Orso Diving Club! Go through online sessions and knowledge reviews at your choice of location and time, and use your time in Sardinia for the practical portion. You can choose 3 adventures dives from the advanced course. It-s for people who don-t have so much time for make the complete advanced course. Before/after the diving activities briefing with the instructor. For some specialities there is an extra charge as: Underwater Scooter (€ 40), night (€ 25), digital camera (€ 15). There will be one hour theory and with the instructor you will choose the best time for both. 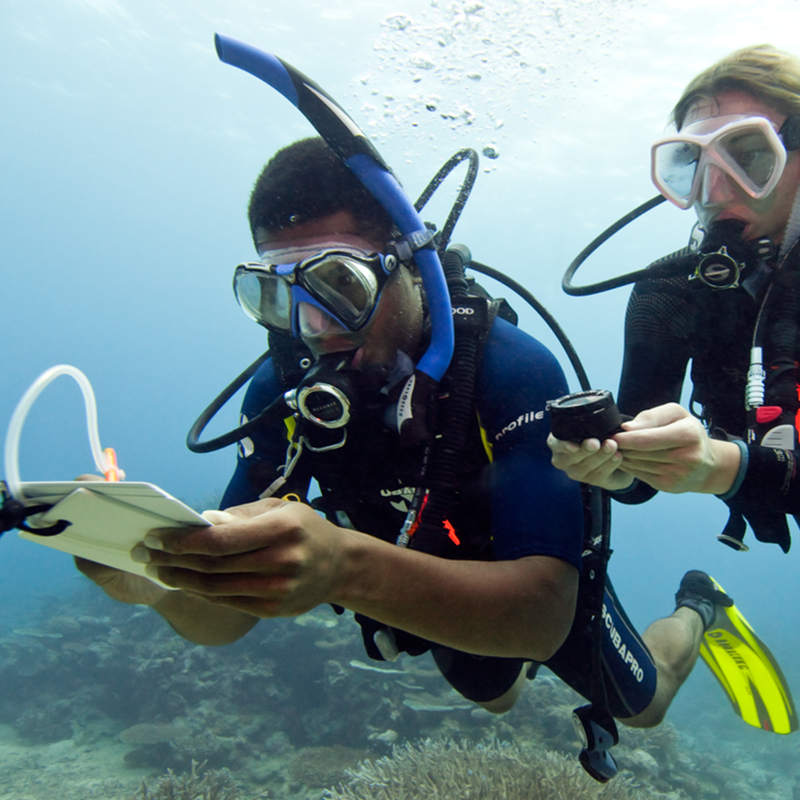 Note that each dive of the Adventure Diver and Advanced Open Water Diver Course gives credit as first dive of the relative PADI Specialty Course. In the same way, the first dive of a PADI Specialty Course gives credit as a dive of the Adventures Diver or Advanced Open Water Diver Course. It is the most demanded course, as you choose 5 specialties, among which a deep dive and a navigation dive are compulsory, then you can choose among multilevel, nitrox, night and some other. 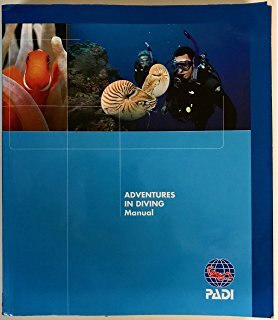 Before each dive you’ll read the relative chapter in the book, completing the final Knowledge Review and making a briefing with the instructor. This certificate is requested if you whish to continue your PADI diving education. Emergency First Response € 100.00 * – around 5 hours. It is the basic course for Emergency First Response Primary Care (CPR) and Emergency First Response Secondary Care (First Aid). It’s only theory and teaches you the steps and techniques for handling life thereatening emergencies. 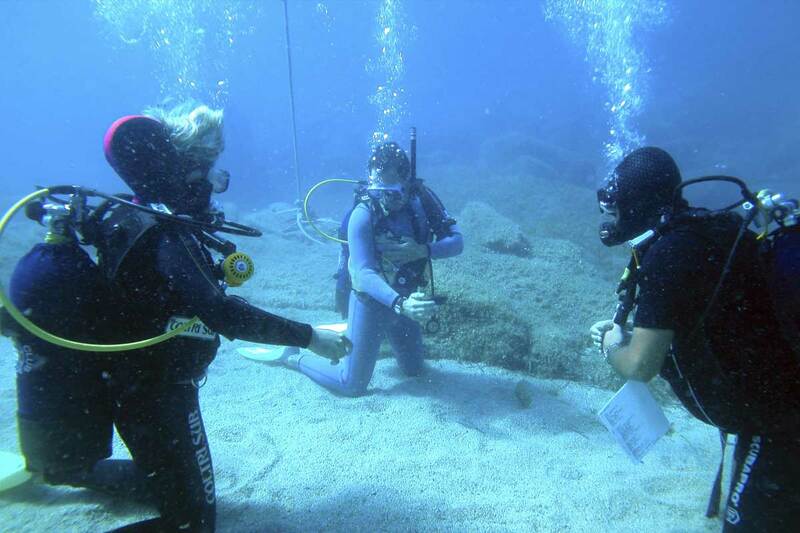 It is the crucial step in your diving education. Rescue Divers learn not only to take care of themselves, but also to consider the safety and well-being of other divers. They’ll be trained to prevent problems and manage emergencies. The course is structured in five theoretical lessons and five practical sessions in open water, where 12 realistic rescue situations will be reproduced. Medic First Aid / Emergency First Response is required (not older than 2 years) or equal qualifying certifications by other training organizations. Possible to do it at the diving center. This bundle combines RESCUE & EFR. Learn how to recognize and deal with stress, prevent accidents and properly manage emergency situations if they occur. You will earn the Rescue certification, as well as the EFR certification after completing the programs in this bundle. 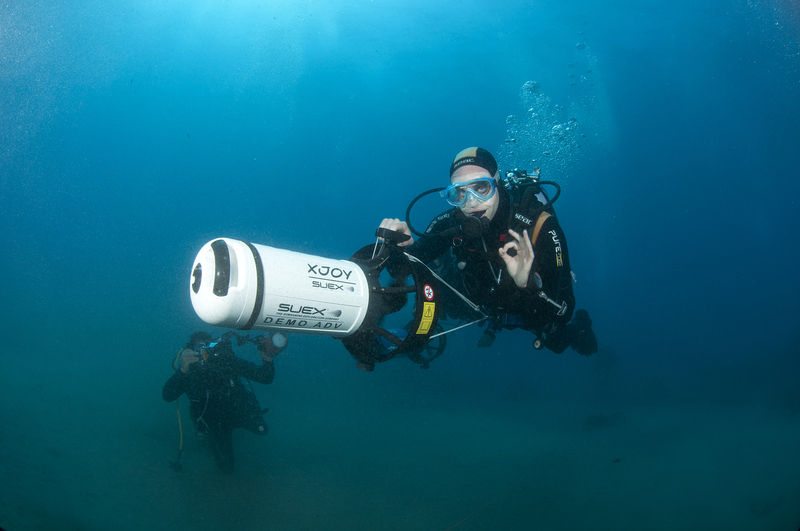 Specialty courses dives will be offered during the morning double tanks excursion where the instructor will teach you what you need. Sometimes it’s required the teory class so there will be a meeting in the afternoon. In the specialty courses equipment not included! From 18 years old. You need min. 40 logged dives and the Rescue license. It extends your ability in problem solving, broadens your knowledge in managing and preventing accidents and trains you for the supervision of certified and non-certified divers. 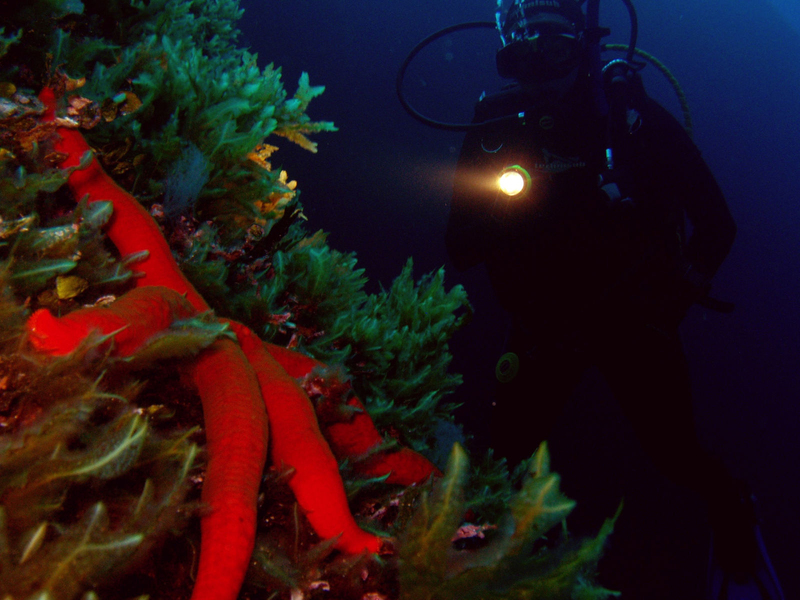 The study of the diving theory is at professional level. The engagement depends from each divers, normally 2 weeks. * Contact us for more info and price.